Honda Vietnam said on Monday it will build a third motorcycle plant to expand capacity by 25 percent in the world's fourth-largest two-wheeler market. The $120-million factory in Ha Nam province south of Hanoi is expected to open in the second half of next year. It will boost Honda's production capacity by 500,000 motorcycles annually, "to accommodate consistent and rapidly growing demand of the motorcycle market in Vietnam," a company news release said. Honda have so far reached a total capacity of two million bikes this year from its two existing plants in Vinh Phuc province northwest of Hanoi. The company says it had a 64 percent share last year of the market which totalled 2.69 million units and was the world's fourth-largest behind China, India and Indonesia. Motorcycles are the primary mode of transport in Vietnam, a country of about 86 million people where the major cities are clogged with honking motorbikes and scooters. Honda Vietnam Co Ltd. began production in 1997. 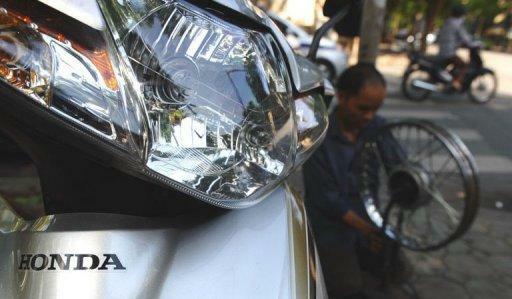 Japan's Honda Motor has a 42 percent stake in the firm.